I have bought two sets of LED headlights for the Pastiche ahem …. Midas. Now this might seem a silly question but how do the old units come out - I see what look like clips but they are close to the bodywork so allow no movement. I guess the assemblys are removed - some fixings are visible from the engine bay but I figure these are what sets the beam heights? 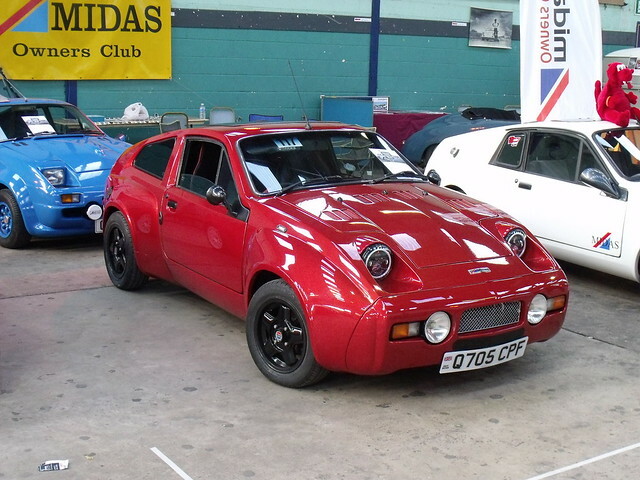 My inspiration being the red MK3 coupe with the same angel eye LED units fitted to main beams pictured variously on here - my little ruffian is getting a matching pair 5.75" below as well. Surprisingly cheap - last time I looked a pair of very similar LED Speaker units would have cost over £700. Both sets E marked and total cost about £125. Bargain? The lower units had to go back as they are too big behind the rim - the alloy casting will not fit within the Cibie mounting rings. Looking at options - a more conventional LED unit appears to be considerably smaller in side profile. David Stephens - Axshack on these pages - fitted LED lights to his Mk3. The main lights are fitted and working it's the lower driving lights that will not allow the fitment of a similar led unit. Too big at the rear. Have an option on variation on the theme but not quite what is wanted and coming from China if I buy I own. So still pondering. The led mains do update the front end imo? But the cuffs need to match the collar.